inspiration and tutelage from somewhere. 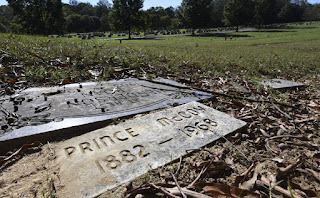 Nobody is calling Prince McCoy the grandfather of the blues, but if he influenced W.C. Handy, commonly called the “Father of the Blues,” then a good case can be made that this one-time janitor at the Bowman Gray School of Medicine is indeed a key player in the development of an American art form that helped give birth to rock ‘n’ roll, country and about every popular music form. Handy was an orchestra leader who played polished show tunes and marches. Though he was exposed to the blues in the late 1800s, he had what music historians call an “enlightenment” to the power of that music in the early 1900s. Handy gave it a shot, but the crowd was not satisfied and asked instead if a local band could play, according to Jim O’Neal, a researcher for the blues trail. A trio of ragged-looking musicians took the stage, led by a guitar player who Handy described as a “long-legged chocolate boy.” They commenced to rock the courthouse with a style of music that had the crowd dancing and tossing silver dollars at the stage in appreciation. Handy stood on the sidelines amazed, not just at the music’s raw power, but the ecstatic reaction from the crowd. The scene, and others, convinced Handy that the music deserved a wider audience, O’Neal said. 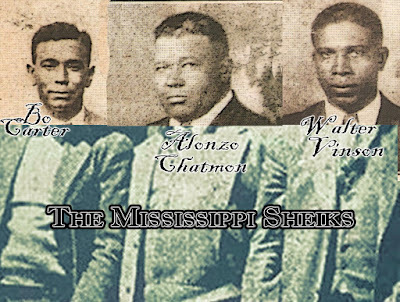 The trio was left nameless, but Handy researcher Elliott Hurwitt has found at least four unpublished manuscripts of Handy’s autobiography that identify the “long-legged chocolate boy” as Prince McCoy, a popular band leader in the Mississippi Delta at the time. For unknown reasons, McCoy’s name was stricken from the published autobiography, relegating him to obscurity. Hurwitt’s discovery, which he made in 2006, has rekindled interest in McCoy. A historical marker at the site of the courthouse dance in Cleveland was unveiled in 2013, mentioning McCoy’s impact on Handy. But for all his influence on Handy, little is known about McCoy. “Basically, he’s a phantom at this point,” Hurwitt said. He was born Prince Albert McCoy in Louisiana in 1882 and moved to Greenville, Miss., with his mother. At some point, he became a musician, leading an orchestra that played dances, civic functions, and even the Alabama-Ole Miss football game in 1910. In 1927, he left Mississippi for Winston-Salem and married the former Carrie Young of Chester County, S.C. He and Carrie first show up in the city directory in 1934, where he listed his occupation as a musician, living on East Eighth Street. O’Neal’s research shows that he played with an eight-piece orchestra that traveled with Maxey’s Medicine Show, entertaining the crowd with vaudeville songs. O’Neal found one advertisement of the medicine show playing in Boston, giving McCoy, a product of the segregated South, a chance to see the country. Around 1943, McCoy left music as a professional pursuit and became a janitor for the Bowman Gray School of Medicine, a position he held for several years. Late in life, he moved to Blair’s Rest Home on East Fourth Street, and died on Feb. 4, 1968, at the age of 85. He and Carrie, who died in 1962 at the age of 62, had no children, and no relatives have been found. 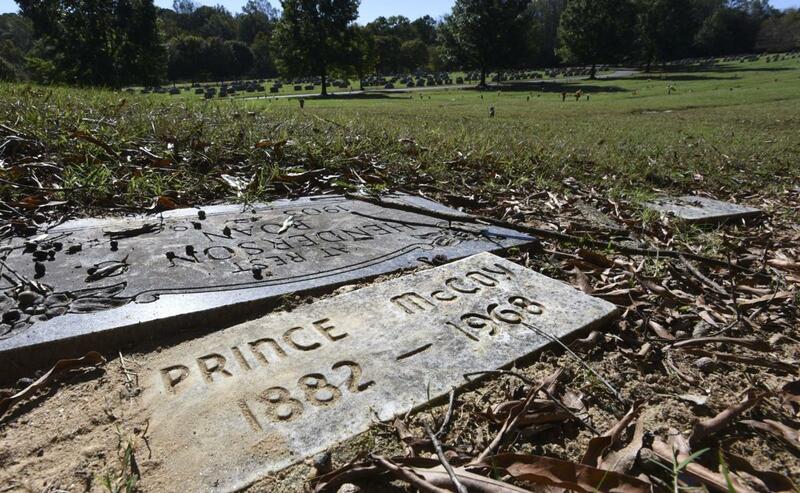 McCoy is buried at Evergreen Cemetery off New Walkertown Road, with his simple, nondescript grave marker engraved with the words: Prince McCoy, 1882-1968. The other day, it was mostly covered in fallen leaves and twigs and a film of sandy soil. The Mississippi Blues Trail and Hurwitt are among those hungry for information on McCoy. He never published or recorded music, so there is no trail of documentation that could give glimpses into his musical career. There are anecdotes from Handy’s band that the music that McCoy played that night in Cleveland may have prompted Handy to record “Memphis Blues,” one of Handy’s biggest hits. But those recollections are murky and unverifiable, Hurwitt said. It’s not even certain that the music McCoy played that night was the blues. McCoy was, after all, an orchestra leader, making it perhaps more likely that he was playing ragtime that night, and not the blues. Looking for information on McCoy, O’Neal contacted the Winston-Salem Journal last week hoping readers might provide some information on McCoy or unearth a photograph that would, at least, put a face to a musician whose contributions have been lost to time. Earlier this week, a librarian at Wake Forest Baptist Medical Center’s Coy C. Carpenter Library flipped through stacks of company newsletters in search of McCoy and came across a photo from the January 1951 edition of Baptist Hospital News. The frame was crowded with black men and women, most likely custodial employees, at a hospital Christmas party. Two women stand in front of a punch bowl, holiday trimmings at its base. A bald, bespectacled man towers over the crowd, a violin case tucked under his left arm. He is, indeed, long-legged. UPDATE - Winston-Salem Journal - January 6, 2018. Alma Peay’s memories of Prince McCoy are somewhat hazy. After all, she was a young child of maybe 4 or 5 years old when she lived next to him in a duplex between Patterson Avenue and Chestnut Street in the 1950s. A picture of the tall, bespectacled man that ran in the Winston-Salem Journal in October stirred her memories. “I remember him playing fiddle,” said Peay, adding that he was quiet and kind. Not much is known about McCoy, who died in 1968 at the age of 85. 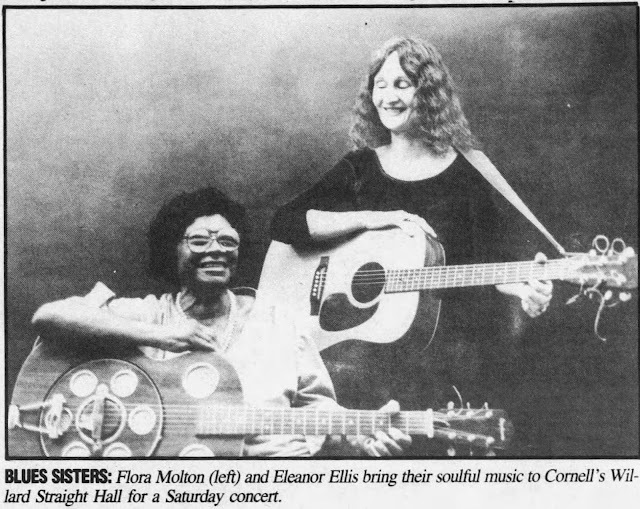 But music historians are hungry for information on the violinist, who set aside a professional music career to work as a janitor at Bowman Gray School of Medicine for several years. The day the story ran in the Journal, the state of Mississippi erected a historical marker in Greenville, Miss., honoring McCoy’s contribution to the blues. The marker is part of the Mississippi Blues Trail, whose honorees also include B.B. King, Howlin’ Wolf and Elvis Presley, among other musical pioneers. McCoy is credited with exposing W.C. Handy, the Father of the Blues, to the primitive style of music that was popular among working-class black people in the early 1900s. Handy took the blues to the mainstream, which eventually led to the birth of rock ‘n’ roll, making McCoy an important footnote in America’s cultural history. In his 1941 autobiography, Handy recalled seeing a “long-legged chocolate boy” in Cleveland, Miss., playing a raucous style of music that rocked the house. 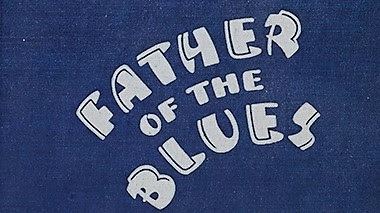 Unpublished manuscripts of the autobiography, discovered by Handy researcher, Elliott Hurwitt, indicate that the musician was McCoy, a popular band leader in the Mississippi Delta at the time. That makes McCoy of considerable interest to blues scholars. The problem is that they know so little about him. In an interview in October, Hurwitt called McCoy a “phantom” to researchers. The trail on McCoy turned cold after he moved to Winston-Salem from the Deep South, in the late 1920s. He married Carrie Young, formerly of Chester, S.C., and worked as a musician before taking on steadier work as a janitor at what is know known as the Wake Forest University School of Medicine. 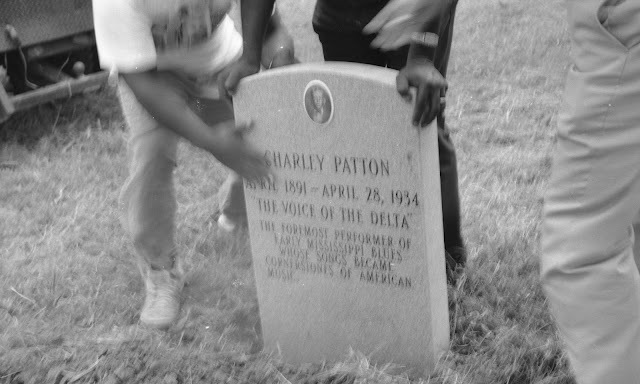 The blues trail folks in Mississippi hadn’t been able to find any photos of McCoy and no known recordings exist. At the request of the Journal, librarians at the Coy C. Carpenter Library at Wake Forest Baptist Medical Center scanned their records and came across the only known photo of McCoy from a company newsletter in January 1951. 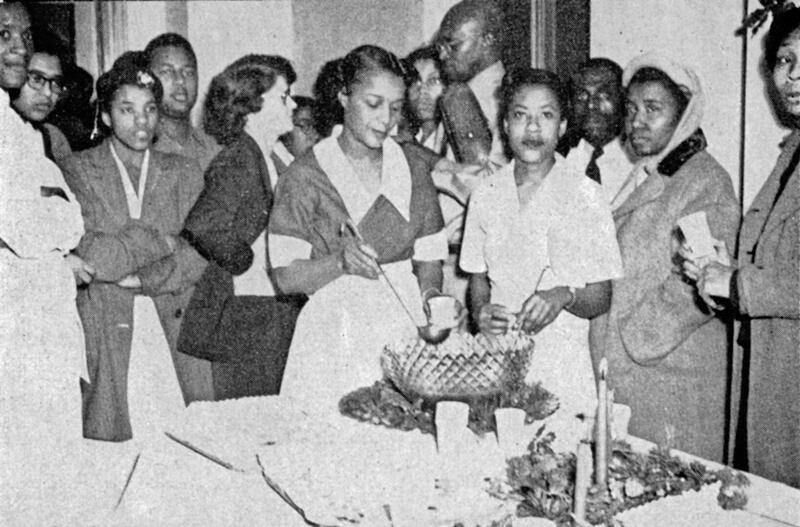 McCoy towers above several fellow employees at a Christmas party for the black employees, a violin case tucked under his left arm, indicating he had been part of the party’s music program. Peay saw the photo and story in the Journal and recollected the tall, soft-spoken man who used to play his violin on the front porch of the duplex that the McCoys lived in, next to Peay and her mother and grandparents. The McCoys and the Peays attended First Baptist Church, then on the corner of Sixth and Chestnut streets. In December, Peay viewed a film that someone in the church made to commemorate the groundbreaking of its new home on Highland Avenue, on Jan. 26, 1947. It is remarkable footage, showing streams of churchgoers in long coats and hats, dressed in their Sunday finest on a cold and misty winter day. The sharp-eyed Peay spotted McCoy, playing in a small orchestra outside the site of the new church, a violin propped against his chin. Unfortunately, there is no sound to the footage. Peay watched the film again recently, with Rev. Paul Robeson Ford, the church’s new pastor. As she watched people file out of the church and onto the sidewalk, she pointed to the ones that she knew. When the camera panned to McCoy, Peay identified the young clarinet player in front of him as Christine Hedgley, the daughter of the church’s pastor at the time, Rev. David Hedgley. She is now Christine Hedgley Johnson, who lives in Santa Fe, N.M., after a long career with the U.S. Public Health Commissioned Corps. In the film, she was about 11 years old, and was a student at 14th Street Elementary School. “In the black community at that time, if you played an instrument in the school band, you automatically played in the church band,” Johnson said last month. She knew McCoy as a reserved man who played jazz gigs with local black musicians, including Harry Wheeler, a legendary band director at the old Atkins High School. McCoy died on Feb. 4, 1968, at the age of 85, with his contributions to the larger world of music unknown until last year. 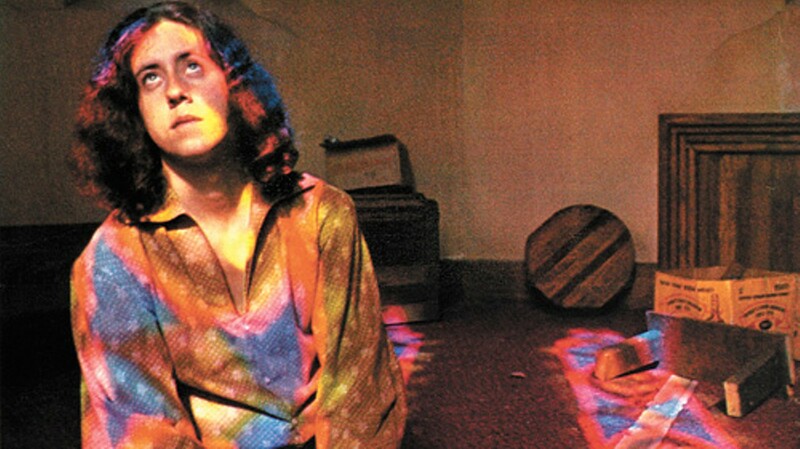 November 26, 2015 marked the 50th anniversary of the events that inspired Arlo Guthrie's "Alice's Restaurant Massacre" and the freaks and free spirits got their own Thanksgiving. "Alice's Restaurant," now a holiday staple at many radio stations is the counterculture's answer to the kind of wholesome Norman Rockwell Thanksgiving we're all familiar with -- not least from Norman Rockwell paintings. So consider this curious footnote to history: Rockwell and Alice shared an address. Alice Brock's restaurant -- the inspiration for Arlo Guthrie's famous album and "talking blues" song -- was in fact located directly below the studio of Norman Rockwell at 40 Main St., Stockbridge, Mass. "It's kind of funny to think that I have become another attraction, in addition to Norman Rockwell, to the town of Stockbridge," Guthrie told The Record, by email. This year's "Alice" anniversary marks, not the birth of the album or song -- both came out in 1967 -- but the real-life incidents that inspired them. It was 50 years ago today -- Thanksgiving 1965 -- that 18-year-old Arlo, son of legendary folk singer Woody Guthrie ("This Land Is Your Land"), volunteered to haul some garbage for his restaurateur friend Alice and her husband Ray. Fans of "Alice's Restaurant Massacree" (the track's official title -- "massacree" being Ozark-ese for a tall tale) know what happened next: an 18 1/2-minute whopper involving cops, a blind judge, a draft board and a memorable group of social rejects on "the group W bench." 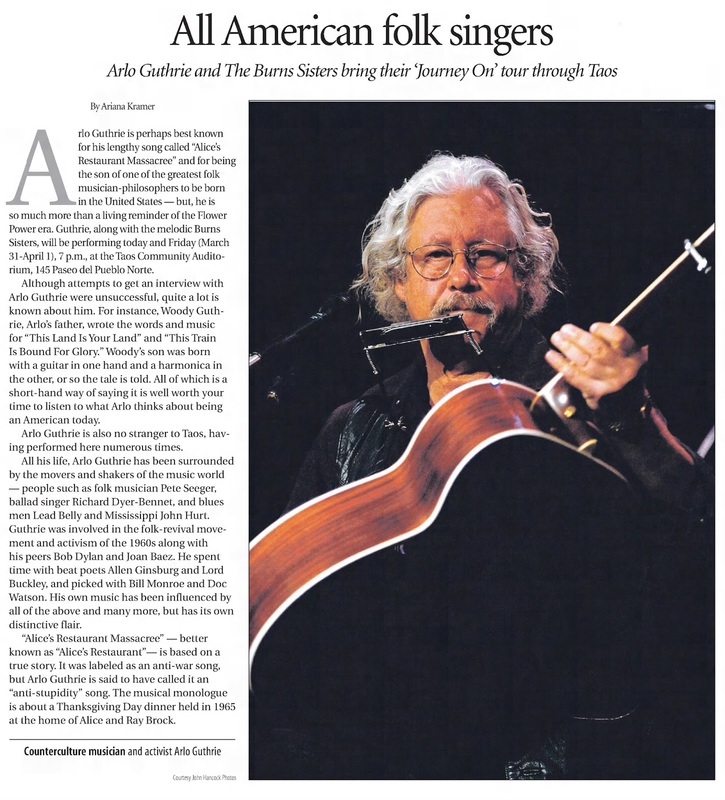 This year, to mark the golden anniversary, Guthrie ("The City of New Orleans") is reviving his famous story-song in concert -- something he does only sparingly these days. Guthrie, who also has a new children's book, "Monsters," out for the holiday season, will be at NJPAC on Sunday. "We're doing a really big show for the 50th anniversary - lights and multimedia effects and even a fog machine," Guthrie says. "It's a little crazy, especially for a folk singer. But it has been very well received so far." Meantime, many radio stations today will be doing what they do every year -- playing the entire, lengthy track as a holiday treat. Guthrie's non-traditional Thanksgiving yarn has itself, over time, become a much-loved Thanksgiving tradition. "It's taken on a life of its own," says Kenny O'Boyle, host of WFDU's "Let There Be Country," who will be playing it at noon today. "Obviously the fact that the incident happened on Thanksgiving has a lot to do with it." Back in the 1960s, of course, the takeaway of "Alice's Restaurant" had less to do with Thanksgiving than Vietnam. The punchline of the song, you'll recall, is that Arlo's criminal status as a "litterbug" makes him unacceptable as a soldier. "In the Vietnam era, it had such a poignant message," O'Boyle says. Nevertheless, there's a reason the song has become a kind of alternative anthem for the holidays, O'Boyle says. "We all know not everybody gets along with their family so great," he says. "Some people dread Thanksgiving. How about a Thanksgiving with your friends, the people you relate to?" In the song "Alice's Restaurant," and even more in the 1969 Arthur Penn movie version, starring Arlo as himself, new-agers got an alternate take on Thanksgiving -- a laid-back day to celebrate with your groovy friends in a wicked cool setting. Possibly even one as cool as the deconsecrated church (now the Guthrie Center in Great Barrington, Mass.) where Arlo and his pals had their famous "Thanksgiving dinner that couldn't be beat." The film version, which paints Alice and Ray's church as almost a proto-hippie commune, may push this a bit far, Guthrie thinks. "The movie version of it was so believable that even my kids thought it was a re-creation of actual events," Guthrie says. "But it was nothing like what really took place. There were just a half-dozen friends who had been invited by Alice and Ray Brock. We sat around, sang some hymns and old ballads after dinner. I loved the old church where they lived, and I slept up in the bell tower that night." Moreover, by the time the movie was made, 1969, the end of the hippie era was plainly in sight, and the "Alice's Restaurant" film has an elegiac vibe that Guthrie isn't entirely happy with. "I loved working with Arthur Penn who directed the movie," Guthrie says. "But I didn't like the way the movie eventually came out. It was kind of depressing, and in real life we were not depressing people. I think what happened is that they wanted to make a 90-minute movie based on a 20-minute song. So they had to make up a lot of stuff. They made up parts that had much less humor, and used 100-percent real people to tell a 30-percent-true story." But the fact that the movie was made at all was just one more improbable chapter in the odd saga of "Alice's Restaurant" -- one of the stranger tunes ever to hit the Top 20 (No. 17 on the Billboard charts). A shaggy-dog story set to some folksy strumming, nearly 20 minutes long, with a chorus that might be mistaken for an advertising jingle, is not exactly the definition of radio-friendly -- then or now. It was an odd combination of circumstances, Guthrie says, that made "Alice's Restaurant" a hit. "WBAI in New York was where the song first got recorded," Guthrie recalls. "Just because I had wandered in the station late one night, and sat down to goof off with Bob Fass, who was the host of a late night show. The song got played a lot as a fundraising effort for the station. Later that year, in the summer of 1967, I went to the Newport Folk Festival and was invited to sing before the largest crowd I'd ever seen. Again, no one was expecting much of me, I was just a kid. But the following day the headline in The New York Times read 'Festival His - Just for a Song,' or something like that. They liked it. Within a few weeks, I'd had a record in the works which came out later that year. ... After that, all hell broke loose." In the end, the most important fan of "Alice's Restaurant" may have been the first. Guthrie family tradition has it that "Alice's Restaurant" was the last song Woody Guthrie heard before he died on Oct. 3, 1967. "That's true," his son says. "He got to hear the reference recordings -- what we called 'test pressings' in those days. He passed away very shortly thereafter, a few weeks before the record came out." Muddy Waters said to me once: "When I sing the blues, when I'm singing the real blues, I'm singing what I feel. Some people maybe want to laugh; maybe I don't talk so good and they don't understand you know? But when we sing the blues - when I sing the blues it come from the heart. From right here in your soul, an' if you' singing what you really feel it comes out all over. It ain't just what you saying, it pours out of you. Sweat runnin' down your face". He is not a markedly eloquent man in conversation, but he never wastes words and what he has to say is always directly to the point. In those few sentences he summed up his attitude to the blues, what the blues meant to him and the effect that creating blues had upon him. Anything else is in a way, superfluous. Or perhaps, anything that one has to say about Muddy Waters is an amplification of these observations of his, if it is to have any value at all. 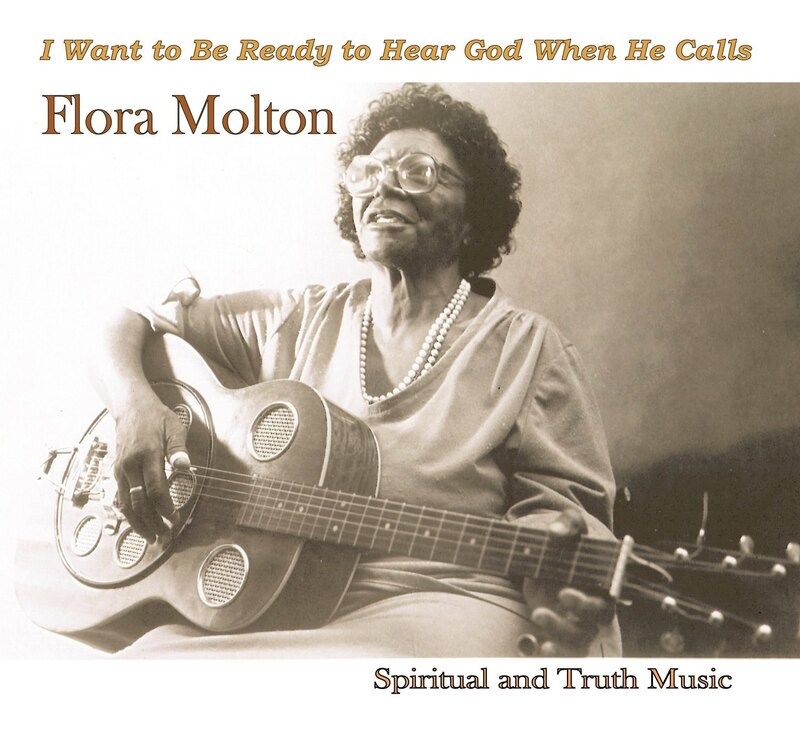 In more than one sense he is the ideal blues singer, for he epitomizes the blues for so many different groups of people. He is eminently sincere in what he does. He has no artifice, though at times he can be puzzling because he is so quiet in manner when he is not working. So his blues have meaning for him and they have depth; depth as great as his own complex personality. 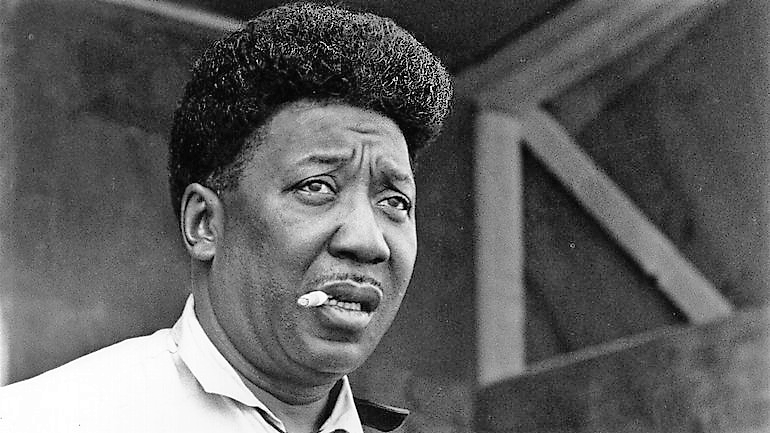 For those who live .by the blues his blues are an inspiration, and for those who are blues enthusiasts like ourselves, his blues are satisfying. I make the distinction because there is no real comparison between the significance of the blues within the black community and its significance to us who are so very much outside it. This is not to argue that our interest is in any way invalidated, but that it is of a different order. 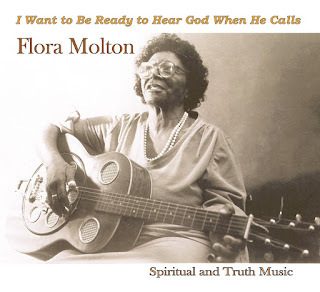 Most serious blues enthusiasts over here will know more about blues and the lives, work and recordings of the singers than the people who throng the small Chicago clubs, but the latter are there by reason of an inner compulsion and desire to share the music. For them the blues singer of the stature of Muddy Waters is a hero-figure, a "Race Man" as he would have been called a decade ago, who symbolizes achievement and success in his field - that of entertainment rather than just "blues". The blues enthusiast here may deplore the cultivation of the singers by the folknik clubs, the college circuit, the jazz festival. But the black man doesn't for these are significant inroads into a fairly well protected white dominated part of society. For the Mississippi black- who knows and hears every Muddy Waters record and is generally referred to in a matter of minutes - he is the perfect example of the "local boy makes good", the black rags-to-comparative-riches of the Great American Dream.